Fairly easy and very tasty! in a large bowl, combine all but the mushroom soup. mixing til well blended. shape into a loaf in a large pan or crock pot. cover with mushroom soup. do not dilute. Bake in 350 degree oven covered for about 45-55 min. is done when juices are running clear. (no pink) If you put it in the crock pot just leave it on low for 2-3 hours. This makes its own gravy. This entry was posted in meat, Uncategorized and tagged beef, beefy, busy mom, comfort food, crock pot, easy, economical, favorites, food, from scratch, gravy, homemade, meat, meatloaf, mushroom, old fashioned, quick, recipes. Bookmark the permalink. 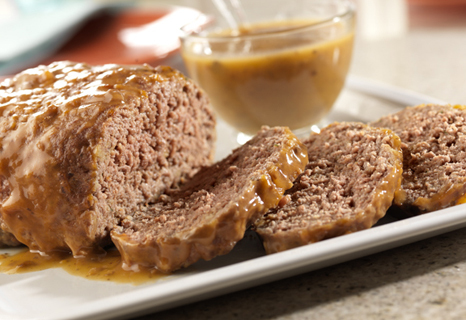 Meatloaf is one of my ‘Bucket List’ recipes!